I still struggle with the insistence by some that violent video games produce violent people. While violent shooters do often have a history of video game addiction, we must be careful when we attempt to apply that association to the general population. However, video gaming addiction remains a serious problem. In my last blog, I focused on the lack of scientific evidence for a link between violence and violent video games. Today, I seek to balance my perspective by going to school on the Xbox. From 1993-2003, I logged over fourteen thousand hours playing video games like Gettsyburg, Antietam, and Command and Conquer. I enjoyed amassing an army and then using it to destroy my enemy’s entire empire. I was so addicted that video games almost destroyed my life, before I got help. I run groups for cyber addicts like me, helping them get their lives back under control. In the last year, I have been getting lots of calls related to the Xbox. 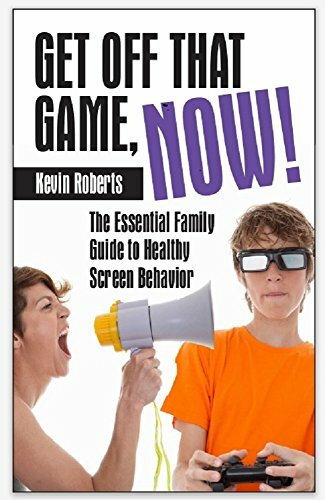 I have heard stories about boys as young as 10 going into fits of rage when their games were taken away, and teenagers falling asleep in school after they had gamed into the wee hours. I have almost totally avoided video games these last several years, so I lacked knowledge about the Xbox. I decided to go undercover. I sat in front of the video game console with my informant, my 12-year-old nephew, who took delight in helping me understand the allure of the Xbox. He ceremoniously crowned me with the headset, the auditory conduit that allowed me to fully enter a parallel universe. With the game system hooked up to the Internet, we decided I would play Call of Duty: Black Ops, one of the most popular shoot-em-up games among teen and tween males. With the Xbox Live feature, I was instantly connected to other human players across the globe. The player who had adeptly shot me, with only a pistol, made his way over to my character before it disappeared from the screen; he knelt on top of me, a common move designed to show dominance as well as to humiliate. Yes, it is called tea-bagging. After a few seconds, I re-spawned, meaning my character came back to life in another part of the battle zone. For the next hour, little boys bombarded me and each other with ceaseless barrages of racially and sexually-charged epithets. Name calling, trash talking, and provocative, profanity-laden insults comprised integral components of the experience. While parent groups have long decried violence in video games, few understand that the most troubling problem nowadays is not what children see on the screen, but rather what they hear through the headset. While parents may see these games as a digital version of playing “army men,” it is important to understand that by using the online, or “Live” feature, young people are being exposed to wildly inappropriate subject matter. Many parents take comfort from knowing their children are at home, “staying out of trouble,” but the filth and contagion that used to be “out there” are now just a click away. These children participate in a subculture that encourages insults, bullying, and degradation. The goal seems to be to inflame other players, hoping to throw their game off balance, thus making them easier to kill. I had naively assumed that the headset would permit greater cooperation among teammates, but nothing of the kind took place. Far from encouraging team spirit and fair play, these headset-enabled online games often embitter those who play them. Many otherwise reasonable young men lose control. The kill-or-be-killed mindset and the endless verbal assaults create an overwhelming intensity that can spill over into real life. Mild-mannered Max played on the freshman football team, and did well in school. Yet, when he played Gears of War or Call of Duty for more than an hour a day, his behavior turned decidedly antisocial. The first incident occurred after Max had been playing for three hours. His mother had tried, unsuccessfully, to gently get him off the game. When she threatened to shut off the power, the fourteen-year old snapped: “You better ******* not!” He quickly and profusely apologized, but this was only the first episode. The last straw came when, after a four-hour gaming binge, he punched through the wall and broke his finger. At that point Max’s parents removed the Xbox from their home, and sought me out for counseling. Unfortunately, there are no quick fixes. Banning video games from one’s home does not usually solve the problem: video games are everywhere. They even leave their mark in the brain. Scientific research continues to mount that intense video games—not just violent ones—can lead to enhanced release of dopamine in the brain’s striatal region, a feature of addiction. Abnormalities in this part of the brain are also involved in impulse control and self-regulation. It should come as no surprise, therefore, that excessive play leads to neurotic and disagreeable conduct, as well as emotional outbursts. When these kids indulge in highly intense games over several hours, they are taxing the brain’s ability to manage. The “electrical” circuits, many of them heavily dependent on dopamine to work properly, become overburdened and these kids lash out. Max showed no signs of aggression in other areas of his life. A few hours on Xbox Live, though, and he became stubbornly irate. The delicate balance of his brain was altered. Max’s mother told me, “He’s a totally different person, even if he’s just on there a half hour.” Mothers do not need medical science to tell them that intense video games have the power to alter perception and personality. They see the disturbing transformation in their very own homes. One would think that these young men would realize the games were creating a problem, and thus motivate them to curtail their play time. However, young men crave intensity and adventure. They’re not getting it, for the most part, in real life, so they pursue it online. There’s nothing inherently wrong with that, but excessive reliance on the cyber world for adventure leads to a sedentary lifestyle, stagnation of face-to-face social skills, and puts young men at risk for addiction. The picture is not all negative. Video game-adept children develop visual-spatial acuity, coordination, and an all-important familiarity with technology. Laparoscopic surgery, battlefield monitoring, and predator-drone control are all performed through video game-like interfaces. Aerobic modules now allow video game consoles to actually encourage physical fitness, and many educational applications make learning fun. Still, a sizeable subculture of young men spends hours every day relating to the world through a headset and game controller. Younger boys hear horribly inappropriate language and lurid references that have the potential to rob them of innocence. Older boys, longing for greater intensity, become hooked, finding a powerful substitute for the adventure that eludes them in real life. As parents, you have two crucial tasks before you. First, you must become fully aware of the cyber world in which your children spend a great deal of their time. This more than anything will motivate you to put in place appropriate limits. Second, you must take pain to help them find intensity and adventure in the real world. The more time they spend in front of a screen, the more many of their natural abilities will stagnate. To name a few alternatives, I recommend paint ball, martial arts, adventure bike rides, geocaching, and urban exploring. If you have a computer adept for a child, find a computer class or camp. Link game time to achievement in school, performance of chores, and leading a balanced life. These games present us with dangers, but also great opportunities. Be aware of both! This is a tricky debate. I submit that no easy answers jump out. Be mindful that balance is the key! Thank you for your informative and comprehensive article. I’ve read a lot of articles and few have evoked the same response. While I know of the language boys engage in while playing the games you speak of, reading the exact words as you print them here along with the visuals you present is very powerful. My spirit was immediately and deeply disturbed. Imagining all the boys entrenched in similar activities of hours on end is more than heartbreaking. Our home has been game-free for a year and we couldn’t be happier with that decision. Thank you again for taking the time to write this piece. All the best. Jeanette, what a great idea! MOre families need to follow your example. My name is Colin, I am 17 years old (about to be 18), and I am a former video game addict. I have been clean for about 2-3 years (with a minor relapse this year that has faded away). From my personal experience, I can confirm that, as I was growing up in my mid-teens (say, from age 12 on up–especially around, say, age 15), my familiarity with foul language came from hearing older men, in their 20s or 30s, using it online. Also, I do know for a fact (again, from my personal experience) that violent videogames tend to instill aggression in the player in other forms of life, especially if he/she is not on them. Just wanted to add a little bit and confirm what Kevin is saying. Colin, would you consider writing a guest blog on your experiences? Thanks for this informative article. As a mother of a 14 year old son who plays first person shooter computer games I worry about the other players’ comments and language more than the game itself. I do not allow him to wear a headset and any player who uses inappropriate language is muted. Unfortunately he plays Xbox at his dad’s house and I do not know if the same rules apply there. Kevin is right that we parents need to know what is going on while they are wearing those headsets! Elaine, thank you for your remarks. I just wish more parents were as aware as you!